Community – local people, places, events and traditions – is at the heart of the annual heritage symposium. With a high level of Gaelic content, these events provide participants with the perfect opportunity to immerse themselves in the South Uist vernacular. Usually taking place two weeks after the Ceòlas summer school to dovetail with the annual Agricultural Show, the symposia provide visitors and members of the community with an additional programme including talks, discussions, workshops, guided walks and evening cèilidhs. Over the past decade, they have greatly fostered the shared sense of place in the community. 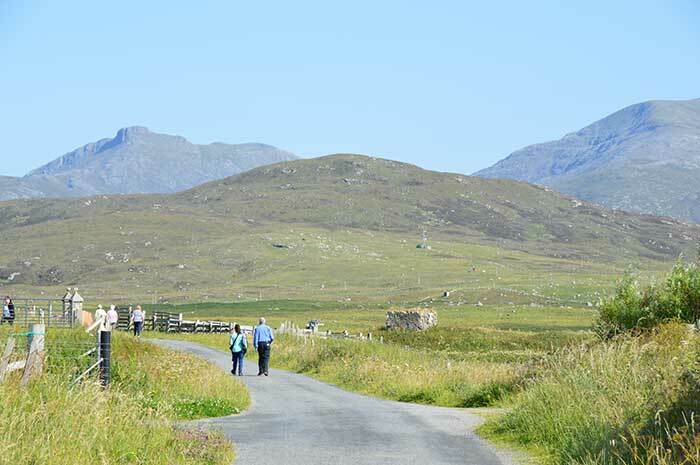 The 2019 symposium will take place in Talla Staoinebrig between 21-23 of July. The full leaflet is available for download here.